Will Belichick and Brady add another ring, or can Seahawks fulfill predictions of a new NFL dynasty? The conference championship games are over, the debate over “Deflategate” is just heating up, and we’re still days away from the Seattle Seahawks' and New England Patriots' arrival in Arizona for the 49th Super Bowl, to be held Feb. 1. Here's an early look at five of the biggest story lines going into the XLIXth super matchup. 1. Will the Patriots add another championship? Head coach Bill Belichick and quarterback Tom Brady already have won three Super Bowls, but they’re still one short of the four won by the tandems of head coach Bill Walsh and quarterback Joe Montana (49ers) and that of Chuck Noll and Terry Bradshaw (Steelers). In today’s era of free agency and salary caps, it’s been a much tougher proposition for the Patriots to stay on top this long, but they’ve managed. After winning three Super Bowls in his first five seasons in New England, Belichick has fallen short in two others. The Pats haven’t won the Lombardi Trophy since Feb. 6, 2005. 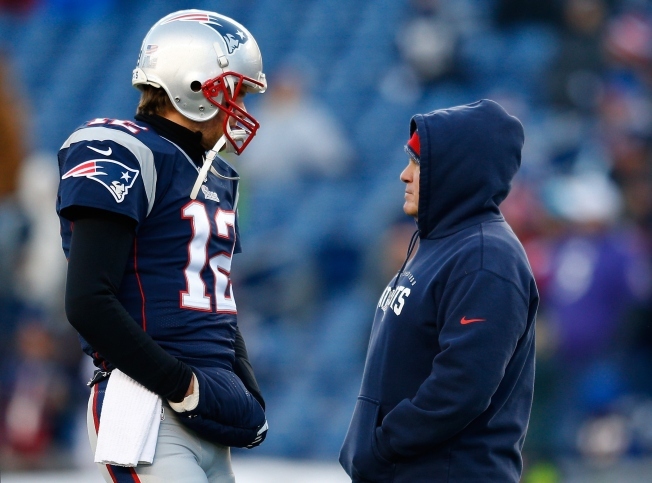 Another victory would put both Belichick and Brady in a special category. 2. Can the Seahawks win back-to-back championships? The defending Super Bowl champions from the Northwest can become the first team to win consecutive championships since… the Patriots after the 2003 and 2004 seasons. In fact, Seattle is the first team even to reach consecutive Super Bowls since the Patriots did it those years. After their first championship last season, many predicted the Seahawks were built for a long-term run – a dynasty? – because of their youth, defense, coaching and quarterback Russell Wilson, who just seems to know how to win. A victory versus the Pats would prove them right. 3. Can the Patriots stop Marshawn Lynch? Much has been made through the years of Belichick’s ability to put the clamps on an opponent’s go-to offensive playmaker. 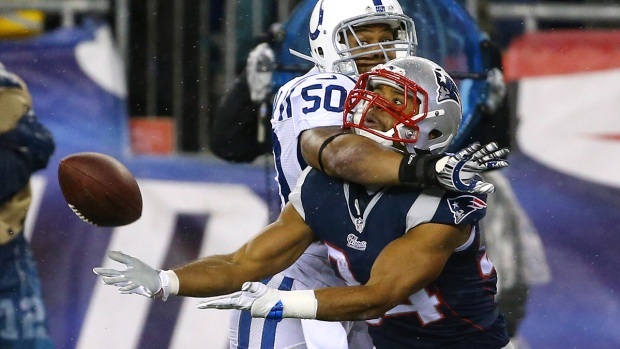 The Patriots certainly did it in the AFC Championship Game by taking away Indianapolis wideout T.Y. Hilton, Andrew Luck’s favorite big-play target. But the Seahawks are a different beast. How does the New England defense stop Lynch? 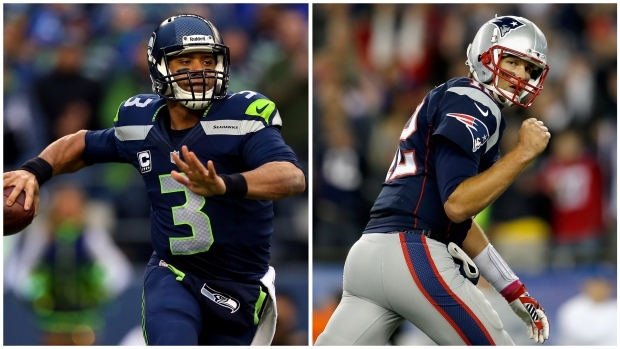 Well, the Pats did it quite well in their last meeting, a 24-23 Seattle victory in the 2012 regular season. In that one, Lynch gained just 41 yards on 15 carries, a 2.7 average. The Pats had other problems, though: Seattle rallied from a 23-10 deficit in the fourth quarter. 4. Do these teams hate each other? Maybe, but probably not. They’re both just competitive, with Type A-personality, aggressive coaches and philosophies. But there certainly will be some questions asked of both teams at media day about their last meeting, when Pats QB Brady and Seahawks corner Richard Sherman got tangled up in some in-game trash talk, and then Sherman famously tweeted a picture of him with Brady after the game with the caption, “U Mad Bro?” Seahawks coach Pete Carroll, when asked about that matchup this week, said of the trash-talking and matchup: “Tom Brady and somebody were yelling back and forth a little bit, those guys were having some fun. Everybody was into it. It was a huge game. It felt like a championship game against a great team.” On Feb. 1, it will be. 5. Who’s the world’s best cornerback? Seattle’s Sherman believes he is. New England’s Darrelle Revis believes he is. They’ve gone back and forth on Twitter debating the point. Both corners are famous for shutting down receivers, and trying to shut each other up. Revis once tweeted of Sherman, “I never seen a man before run his mouth so much”; Sherman has tweeted that “sometimes the truth needs to be told” that he’s the best. We’ll see which one has the better day on the biggest stage.